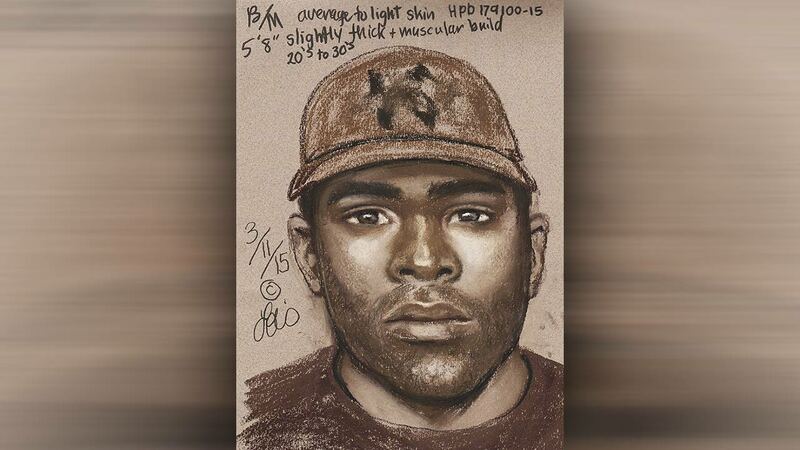 HOUSTON (KTRK) -- Crime Stoppers and the Houston Police Department's Special Victim's Division need the public's help in identifying a male suspect responsible for an aggravated sexual assault of an 18-year-old girl. Police say that an 18-year-old girl was walking in the 13500 block of Townwood Drive on February 10, 2015, around 11pm. The girl reported that the suspect approached her and forcibly dragged her to a dead-end street a block away near the 3500 block of Ebbtide Drive. It was there that the suspect sexually assaulted the victim at gunpoint and robbed her. Police say their investigation has revealed that the suspect may live and/or loiter near the Ebbtide Drive and Townwood Drive intersection.